← What forces a mid-latitude cyclone to develop? What is a 100-year storm? Flooding in Mazomanie WI on August 21st. The phrase “100-year storm” refers to the estimated probability of a storm event happening in any given year. A 100-year event has a 1 percent chance (or 1-in-a-100 chance) of occurring in any given year. The term “100-year flood” allows us to place a particular weather event in context with other similar events. It is wrong to think that a 100-year storm happens only once every 100 years. While not likely, two 100-year storms can occur within a week of each other. These 100-year storms are often considered in terms of the precipitation that comes with the storm and the flooding that results. A flood occurs when water flows into a region faster than it can be stored in a lake or reservoir, absorbed into the soil, or removed by runoff into a drainage basin. There are several conditions that can result in flooding: a long-lasting rainfall over a watershed, intense rainfall, or rainfall that causes rapid snow melt. The recent flooding in the Madison area (which will be addressed in next week’s column once certain potentially record-breaking measurements can be verified) resulted from record-breaking rainfall over one watershed and heavy rainfall over another. 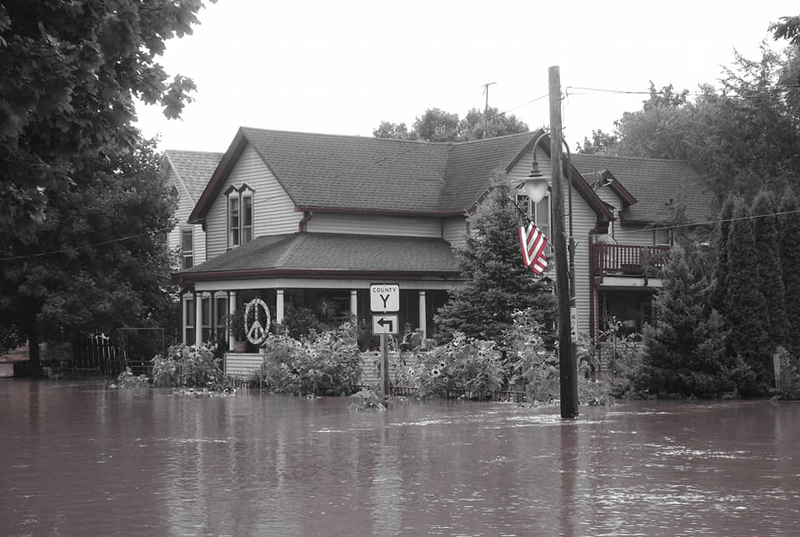 Because floods result under different circumstances and in different places, their impacts vary. Scientists collect data on how frequently different sizes of floods occur and the time between these floods. They use this data to calculate the probability that a flood of a particular size will be equaled or exceeded during any year. The term “100-year flood” is a statistical designation of an unlikely event. Statistically, a 100-year flood has about a 63 percent chance of occurring in any 100-year period, not a 100 percent chance of occurring. Extreme and unlikely values are important for assessing the risk of unusual events. Comments Off on What is a 100-year storm?